With the corporate world getting more and more competitive, many project and product management teams are finding it harder to keep up with rapid changes in all areas. Customer needs, market demands, and industry processes all need careful monitoring in order for companies to keep up with competitors. Thus, many project and product teams are adopting new technologies to manage their project portfolios or product development processes. Even if adopting new technologies are bound to make things easier, no one likes change. Making changes in technologies is one of the biggest changes any company can make. Big changes like these are likely to increase risk and be resisted by some team members and stakeholders. Hence, new technology adoption requires careful planning and a good change management plan. All major changes require careful preparation, especially if people will need to learn new things. Prepare your team for a learning curve and take the time to assess the skills and knowledge that your team will need to acquire. Be prepared to readjust project timelines for a bit, and figure out if you will need additional staff members. Think about some worse-case scenarios and have some backup plans. Be sure to consider cost estimates and map out what they would look like in worse case scenarios. 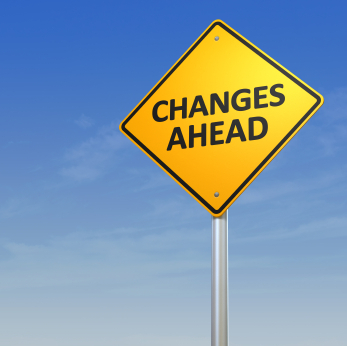 No one likes change, especially when it comes to changing something they are already familiar with. Securing buy-in from the executives allows you to build support and evangelize its use throughout your organization. Propose the change to management by presenting the facts and figures that prove that the adoption will yield better results. Present it from their point of view and show them how they will benefit from the change. When training your team on the new software, focus on aspects they may already be familiar with. If it has social components, compare it with Facebook and Twitter as most people already use these. Most project management software have many features that are similar to those in Microsoft Project. Focus on the positives and show your team how much easier their work will be, how much time they will save, how much more efficient communication will be and all advantages that will come from using the new software. Allow your team extra time to get familiar with the software, even if it means extending project dates. The faster they learn it, the more comfortable they will get, hence allowing them to produce more effective results. Motivate your team to explore the new software by making the learning process fun. A few of my personal ideas: Quiz your team on the software, create a place where team members can write about the new things they learn, hold contests and reward them. The more collaborative the adoption process is, the easier it will be for everyone.